← Online Training – In the Field Day NEW DATE! 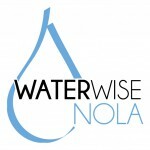 LUSC has been awarded a grant from the Sewage and Water Board of New Orleans for our Green Infrastructure Education Program. This grant is in conjunction with Global Green, Water Works, Engineers Without Borders, Neighborhood Partnership Network, Project Home Again, Hike for Katreena, and Dana Brown & Associates. We are looking forward to starting work on this project!